A trio of home runs and a spot start by a pitcher making his second Triple-A start of the season were enough for Las Vegas Wednesday night as they evened the series with Fresno with a 6-3 win at Chukchansi Park. When the 51s have their power stroke working and their pitcher is fantastic, they are a tough team to beat. “It was all based on pitching, then the three home runs we had,” 51s manager Wally Backman said. Las Vegas homered early and often. Marc Krauss started the damage with a three-run bomb in the third inning. It gave Las Vegas an early 3-0 lead that got padded in the next three innings. Roger Bernadina hit a leadoff homer in the fourth and Travis Taijeron added a two-run jack in the sixth. Sandwiched between was an RBI single by Brandon Nimmo, the only 51s run of the game that did not come via a home run. Right-hander Josh Zeid was called up to Las Vegas to start Wednesday and did as well as Las Vegas could have expected. It was his second go-round through the Triple-A level this season and his outing Wednesday was much better than his last. On July 8 he was called upon to start the nightcap of a doubleheader and gave up four runs in five innings. In his second try, he was strong for seven innings, a solo home run in the third his only blemish. Zeid pitched seven innings and allowed just one run on only three hits while striking out four and walking a pair. Whether or not he sticks with the 51s will be decided tomorrow. The Grizzlies tacked two on in the bottom of the ninth, but by that point it was not enough. Jon Kemmer hit a two-run homer with one out, but Jeff Walters struck out the next two to end the game. Eight of the nine runs in the game were driven in by a home run. 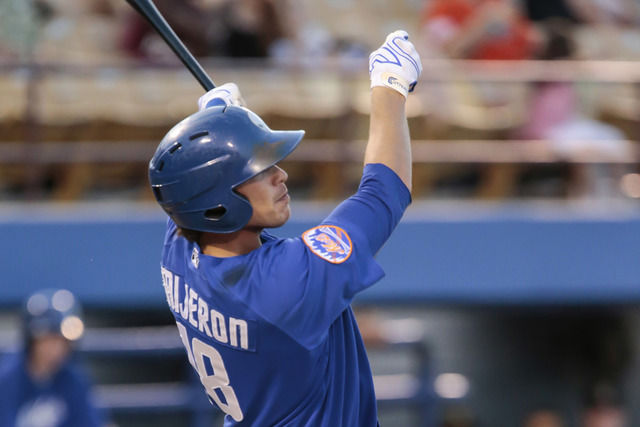 The 51s scored six runs Wednesday – about their average for the season – only the second time in their last 10 games they have done so.